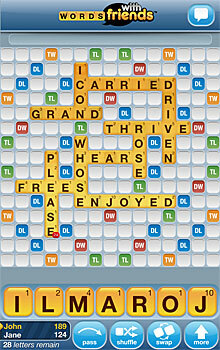 Only “for a couple of months after launch,” both Zynga games – Words With Friends and Draw Something – will also be Nokia Lumia exclusive. As a Nokia Conversations post reveals, the two games will first be available this Autumn 2012 exclusively to Lumia Windows Phones. After a couple of months, which we will take literally for now as exactly two months, both games will then be available to all Windows Phone users. No doubt, this exclusivity comes as a treat to Nokia Lumia users following Nokia’s efforts to get the two games on the Windows Phone platform. The Nokia Conversations blog also promises to have a closer look at each of the games in the coming weeks. This continued “exclusive this, exclusive that” treatment that Nokia is getting is going to hurt other WP7 users if it keeps on like this. Agreed. There weren’t any Nokia phones available for months following the WP7 launch. So all of Microsoft’s early supporters are now “second class?” That’s horrendous PR. I was really considering upgrading to WP8 this November, but I’ve been turned off by the favoritism for Nokia users. Microsoft has something like 3% of the smart phone market, and they choose segregation of their own customer base as a good business model? Someone should lose their job for that decision. November 10th is the day I switch to Android.